Happy Monday my friends! Are you ready for some gorgeous cover love? 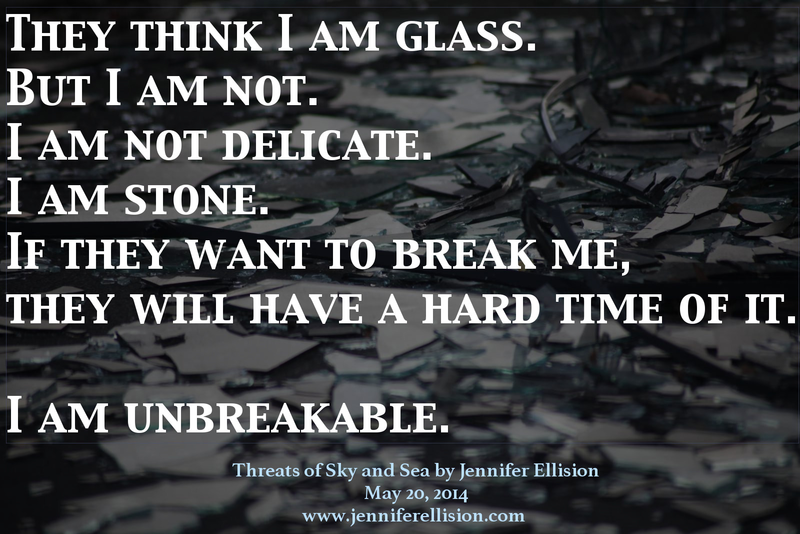 Not only is Jennifer Ellision's Threats of Sky and Sea an absolutely beautiful book, it's also one that has my attention. The synopsis drew me in, and I can't wait to dive in! Take a look. Sound like something that you'd like to read? You can add it to your reading list at the links below. Now, please enjoy a guest post from Jennifer Ellision! Many, many scenes from Threats of Sky and Sea hold a very dear place in my heart. There are some climactic scenes, ones with funny lines, even some romantic scenes. I love some of the scenes where the Elemental powers are at the forefront, ones where I explored the mythology in the world of Egria, and ones where I got to fool around with metaphors and language. And I really love quite a few of my characters. So picking a favorite scene? Difficult. Very difficult. But… I think I know which scene to choose. One of the characters in Threats of Sky and Sea is named Princess Aleta. And Aleta has got a whole lot of anger inside of her at the circumstances of her life. I think that readers will see that easily well before this scene. For the most part, Aleta is a very controlled person, who just happens to… slip every now and then. 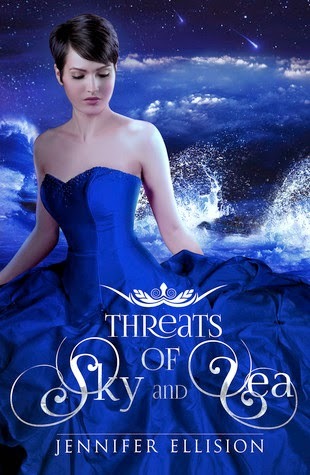 My favorite scene is one featuring Aleta and the main character of Threats of Sky and Sea: Bree. It follows a major reveal in the story, and a deadline has just been thrust upon my characters. And Aleta slips. Probably more than she ever has before. And I was just so very proud of her while writing that scene. I think it’s the first time that I really understood Aleta’s inner strength and the sheer force of her will. She is not a force to be reckoned with, and yet she’s been subjugated and underestimated for the entirety of her life. I've included a sneak peek of that scene below, and I hope that others will share it with me as their favorite.